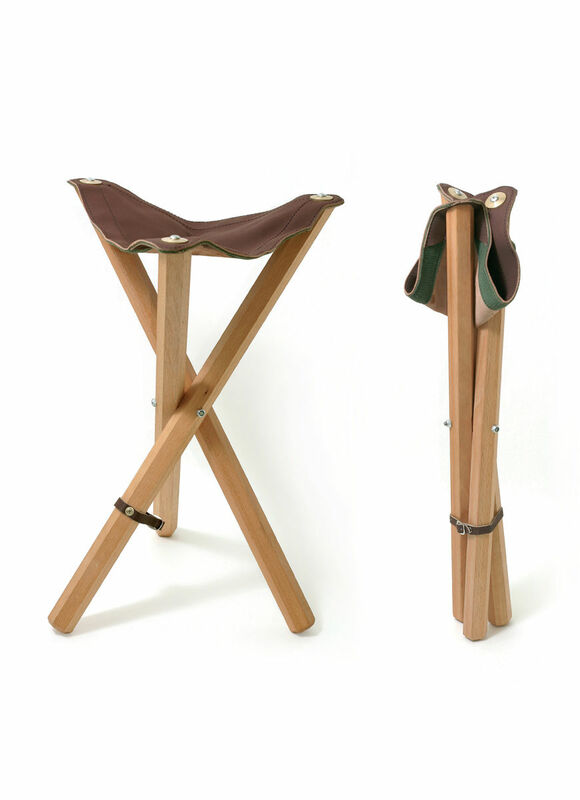 Beech wood legs, genuine leather seat. Height : 50 cm. Easily foldable, with fastening leather strap.